Dr. Christopher Gayer is a recognized general surgeon in Los Angeles, California. He received his medical diploma from Wayne State University School of Medicine in 2005. Dr. Gayer completed his medical education with a residency in general surgery at Wayne State University School of Medicine and a fellowship in pediatric surgery at Detroit Medical Center Corporation. He is certified by the American Board in pediatric surgery and surgery. 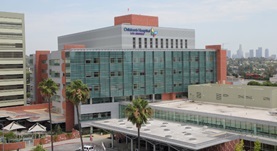 This doctor works in several hospitals in the area, including: St. Mary Medical Center, Pomona Valley Hospital Medical Center, California Hospital Medical Center and Children's Hospital Los Angeles. He was awarded the honor ACS Fellow. He has published many articles in collaboration with other doctors. He is a member of the American College of Surgeons. Dr. Christopher Gayer has contributed to 2 publications. An ectopic renin-secreting adrenal corticoadenoma in a child with malignant hypertension. Kaslow, A. M.,Riquier-Brison, A.,Peti-Peterdi, J.,Shillingford, N.,HaDuong, J.,Venkatramani, R.,Gayer, C. P.; Physiol Rep. 2016 Mar 22. Images in clinical medicine. Gastric emphysema. Garza, U.,Gayer, C.; N. Engl. J. Med.. 2014 May 30.